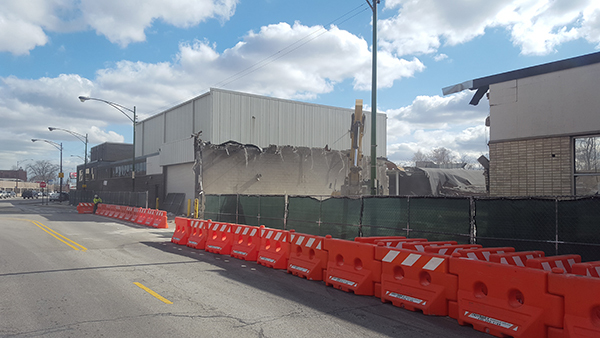 Alderman John Arena (45th) recently posted updates on the planned redevelopment of the former Archdiocese of Chicago food processing plant at 5150 N. Northwest Hwy., where demolition began last week. Construction of a five-story storage warehouse on the site is expected to start this spring, while work on a proposed seven-story, mixed-income housing complex with 75 units could start late this year if low-income housing tax credits are awarded for the project. The Illinois Housing Development Authority will announce its funding decisions within the next few months. Arena recently answered questions about the housing proposal on social media and gave an explanation as to why the project remains seven stories despite a reduction from 100 to 75 apartments to make the proposal more financially feasible. Project opponents have said that the project would be too tall and dense, creating a burden on the overcrowded Taft High School and Beaubien School. A Gladstone Park commercial corridor study, which covers the area north of the Kennedy Expressway, calls for new construction in the area to be limited to four stories. The study was written by a senior planner for the city Department of Planning and Development and included input from elected officials, residents and merchants. "The building is not feasible at four stories. The developer did suggest that if the retail, all community amenities were stripped out and the building were reduced to only 40 CHA (Chicago Housing Authority) units, it could be four stories. That is exactly what we do not want to build. A concentration of low-income residents sequestered in a single building. "I maintain that a mixed-income building is more reflective of the surrounding community and is what would make a more diverse and successful building. 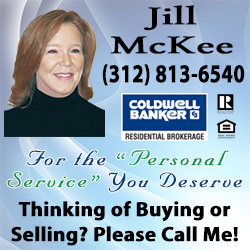 Furthermore, why should all of the community amenities be stripped out to satisfy a study that looked at a two-mile stretch of Milwaukee Avenue, not specifically this site," Arena wrote. The four-story suggestion by the developer, Full Circle Communities, was "purely speculative" and was made "at the last minute" without any due diligence as deadlines were approaching last spring for financing the project, said Arena’s chief of staff Owen Brugh. Full Circle was unable to obtain the required financing to move the proposal forward last year. Plans call for the building to include a mix of low-income, affordable, including some CHA-subsidized units, and market-rate apartments, with a preference being given to veterans. Plans call for the 5,500-square-foot ground floor to be used as a collaborative community space which could house the offices of several agencies and which would be overseen by Friendship Community Place, a local nonprofit group. "Unless it is fully VA (Veterans Administration) funded, it cannot be a vets-only building." Arena said. He added that Full Circle is seeking a grant that would require 15 of the apartments to be set aside for veterans and that Mayor Rahm Emanuel "has put a priority on addressing veteran homelessness in Chicago." Arena anticipates that the demand for the units, including the accessible apartments for the disabled, would be so high that "there will be a waiting list before the developer starts construction. These units will be occupied from day one," Arena wrote. "A study done for the now stalled 300-unit development on Higgins Avenue (near Cumberland Avenue) in the 41st Ward showed less than 15 school-aged children would live there. The number of children expected from a 75-unit building is not expected to add pressure to the local schools." Arena added that "we see most school-aged children residing in the single-family homes that make up 85 percent of the housing stock on Northwest Side." Project opponents have argued that the fact that 54 of the 75 apartments would have two or three bedrooms would attract families with school-aged children to the development, adding to the overcrowding at area schools. The developer for the Higgins-Cumberland site has said that his building would cater to young professionals. On the issue of parking, Arena said that the site’s proximity to the Jefferson Park CTA and Metra stations means that the project would qualify for reduction in parking requirements, which usually mandate one parking space for each living unit. Plans call for 40 parking spaces for the residential and ground-floor tenants. "The parking is more than adequate based on the rate of car ownership of the combination of disabled and lower-income residents. Due to TOD (transit-oriented development) proximity, the zoning code requires 0.5 spaces (per unit). This is born out by rate of car ownership in other TOD buildings," Arena wrote. The housing project would require an amendment to the planned development ordinance which governs the site’s zoning. Currently the ordinance calls for an unspecified multi-family development there. A lawsuit challenging a settlement agreement between the site’s owner and the city is pending. In addition, dozens of government workers, including police officers and firefighters, face disciplinary action for their alleged racially charged online comments against the housing proposal, as Arena’s office collected screenshots of their Facebook postings and turned them over to investigative agencies. One of those workers said in an interview that government employees should have the right to discuss zoning proposals and the city’s housing policies without fear of losing their job. The worker said that some of the workers appear to have been singled out for comparing the Northwest Highway proposal to the former Cabrini-Green housing complex, which the city demolished in 2011 as part of what the worker described as a failed housing policy.